Alfa Laval announces the addition of two new frame sizes as well as optional heating/cooling front covers to its broad range of Alfa Laval OptiLobe rotary lobe pumps. To meet the demand for smaller and larger hygienic pumps that can handle low flow rates, the new OptiLobe 10 and OptiLobe 50 add four new pump models to the range. Optional heating/cooling front covers make it possible to use this premium-quality, competitively priced hygienic pump in a wider range of applications. Like all pumps in the range, the new OptiLobe pumps are engineered for general hygienic applications within the food, dairy, beverage, and home and personal care industries. With the addition of the Alfa Laval OptiLobe 10 and OptiLobe 50, Alfa Laval extends its proven range of OptiLobe rotary lobe pumps to provide manufacturers who require hygienic fluid handling solutions with greater process flexibility and enhanced operational reliability at lower flow rates and higher production capacities. A total of four new pump models in two new frame sizes provides users with both smaller and larger capacities than those previously available. Like all pumps in the Alfa Laval OptiLobe range, the new hygienic Alfa Laval OptiLobe 10 and OptiLobe 50 pumps comply with international standards, including EHEDG guidelines as well as 3-A and FDA standards. The pumps feature an all stainless-steel exterior, one-piece bearing housing, sturdy gearbox construction with heavy-duty shafts, torque locking assemblies and tapered roller bearings throughout. They are designed for straightforward Cleaning-in-Place (CIP) and Sterilization-in-Place (SIP). What’s more, it is easy to completely drain the pump, which eliminates product retention, increases product recovery and reduces the risk of bacterial growth during pump shutdown. 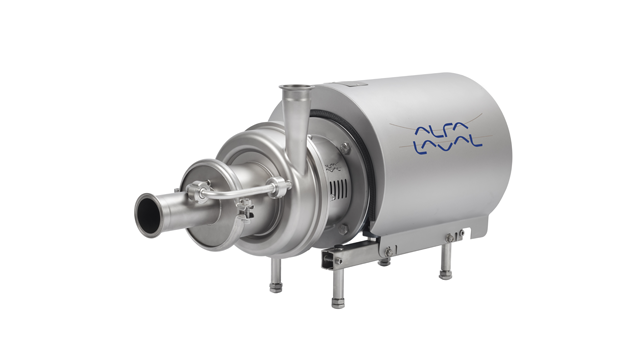 The Alfa Laval OptiLobe offers reliable fluid transfer and gentle product handling in combination with low pulsation, low shear and low noise characteristics. Its inlet and outlet ports in vertical or horizontal position enhance process flexibility and enable universal mounting for complete installation flexibility throughout the plant. With the addition of these new pumps, the Alfa Laval OptiLobe rotary lobe pump range now offers a total of 10 models and five frame sizes (10, 20, 30, 40 and 50). All 10 pump models are capable of cost-effective operation at differential pressures of 8 bar. Optional heating/cooling front covers are now available for the entire Alfa Laval OptiLobe rotary lobe pump range. The front covers make it possible for users to take advantage of pump quality and cost-effectiveness for processes that require product transfer of low to high product volumes at differential pressures of 8 bar. This option is an excellent choice for processes where products tend to harden at low temperatures, such as sugar solutions, butter and margarines, marmalades, body butters, gels, lotions and other products. Moreover, it is easy to upgrade and retrofit existing pumps with the front covers. Operation is straightforward and reliable, thanks to the robust gearbox construction of the Alfa Laval OptiLobe. Self-setting, front-loading seals are easy to fit and easy to maintain; there is no need to remove the rotor case for repair or inspection. The high tolerances of all machine components ensure complete component interchangeability without the need for markings or pump retiming. This reduces maintenance costs and downtime, thereby optimizing production uptime.This simplifies maintenance, optimizes spare parts inventory, and significantly reduces overall maintenance costs. Alfa Laval provides a complete range of hygienic pump technologies to meet customer demand in terms of safeguarding product quality, process efficiency and easy maintenance and service.The comprehensive pump range for hygienic applications serves the dairy, food, beverage, home care, personal care, biotechnology and pharmaceutical industries. 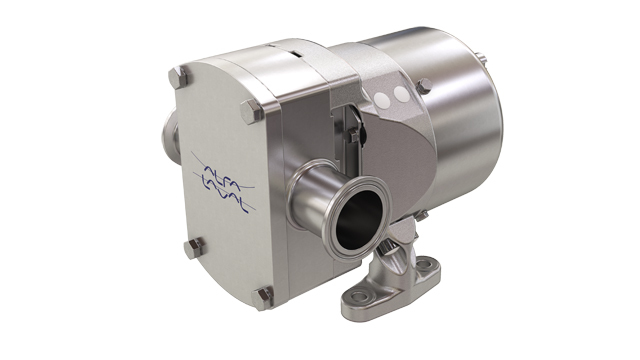 Part of the company’s rotary lobe pump range, the Alfa Laval OptiLobe is carefully engineered to provide optimal process performance, reliable operation and good energy efficiency in demanding applications. These versatile pumps are an excellent choice for duties that require gentle product handling and easy serviceability. To learn more, please visit the Alfa Laval OptiLobe rotary lobe pump web page. 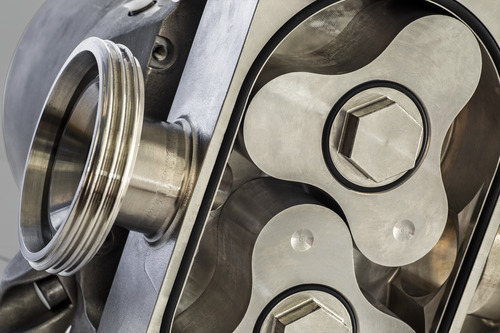 The Alfa Laval rotary lobe pump range complements the complete line of Alfa Laval positive displacement pumps, including circumferential piston pump and twin-screw pump technologies. 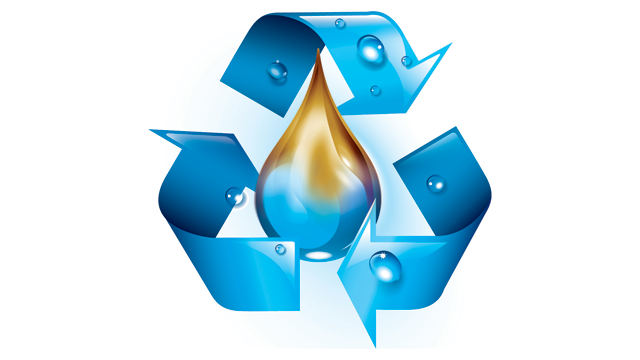 This enables Alfa Laval to offer the optimum solution for the process application at hand. Click here for images available in high resolution.